Be treated to stunning San Diego panoramas during your stay in a generously sized, 604-square-feet Bay View Suite. 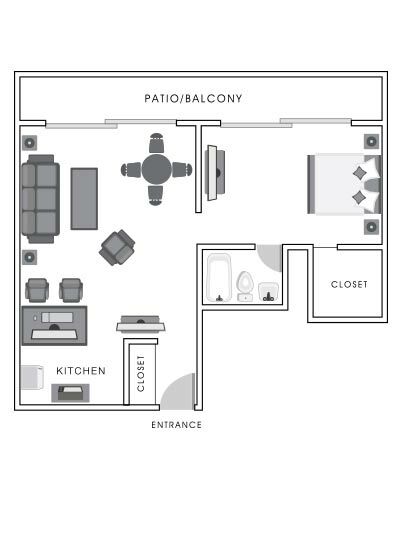 Along with a bedroom with 1 king bed, enjoy a separate large living area, sitting area, balcony, and kitchenette with a stove, oven, full-size refrigerator, and cookware. A thrilling day of family adventure awaits with interactive treetop mazes and up-close animal experiences.